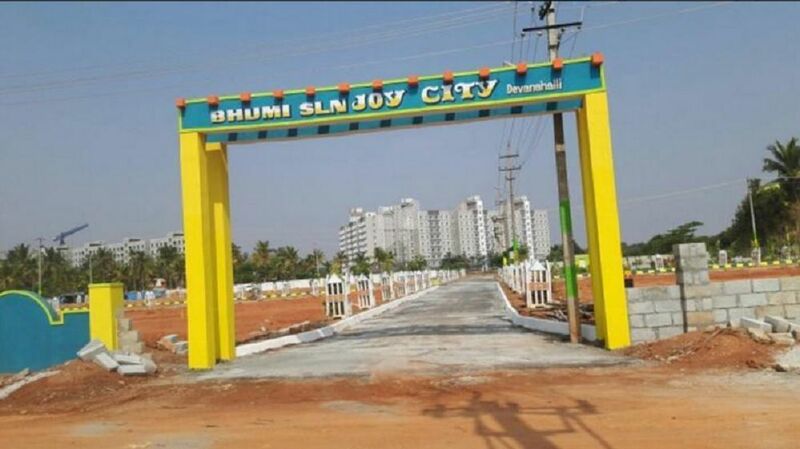 How Far is Bhumi SLN Joy City? BHUMI'S JOY CITY. BCD who are known for professionalism and integrity. The team consists of professionals who set very high standards in every project they undertake. BCD has succesfully completed more than 10 Projects and one of the leading and best among the developers in Nelamangla & Magadi Road areas. It has a success history from past 7 years. JOY CITY is located at Devanahalli in quite, overwhelmingly green neighbourhood. Devenahalli the much Happening zone in North Bangalore which has INTERNATIONAL AIRPORT evoked greater interest among investors around the world SEZ'S comprising IT, BT, Apparel and Hardware have only spurred the growth.